There is a common understanding that when a Hmong person journeys into the diaspora, they will find Hmong community if they seek it, and the community will welcome them with hospitality as if they were immediate family. I found this hospitality every time I left the comfort of my family’s home in Fresno, California, to the Twin Cities in Minnesota, Philadelphia, Washington, D.C., and New York City. This past weekend, I drove down to Los Angeles to meet its Hmong community. 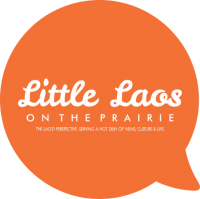 Like many large cities outside of the large Hmong enclaves, such as the central valley in California and the Twin Cities of Minnesota, Los Angeles’ Hmong community is a young and vibrant one. I grew up in Fresno where we are some 30,000 Hmong strong. I do not know how many live in the City of Angels but the Hmong have an early history in southern California. The earliest Hmong migration to California was in Santa Ana, then to the rest of the central and northern regions. During my trip, I took part in actor Doua Moua’s annual Los Angeles Hmong New Year celebration, which aims to cultivate community in the city. Moua, fresh off the Mulan live action filming session in New Zealand, found time to work on his career, mentor and provide his home as hospitality for several Hmong creatives who have ventured into the city in the hopes of making it big. 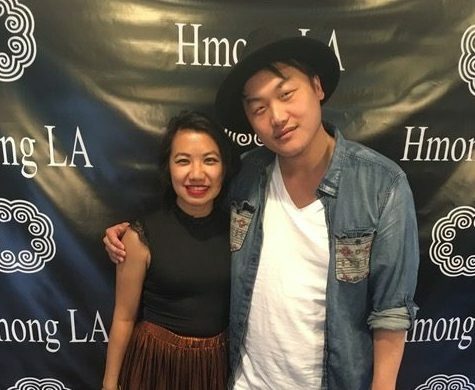 Moua wants to reproduce the kind of supportive Hmong community he helped created in New York City, where he was a stage actor for many years before moving to Los Angeles to focus on films. Moua said it’s beautiful to have the Hmong community come together in a space where it didn’t exist for so long. For the last three years, Moua has hosted the new year celebration as a mixer and potluck among the young professionals and creatives in the area. This year, he hosted the event with generous support from Soua Her of Hero Gallery Complex, who provided her gallery as the venue. Generous amounts of food were provided by the attendees. Los Angeles’ Hmong New Year isn’t just any other new year event although it bears the same name. Many Hmong New Year festivities are typically celebrated throughout the country from October to December. Since Long Beach and San Diego host annual traditional Hmong New Year festivals, it was refreshing to see Moua provide a space for cultural production in the middle of January. Many of the individuals who showed up to the event are actually not Los Angeles natives. I met many new friends from the central valley, Minnesota and Wisconsin. These young Hmong come from places of large Hmong enclaves to the city, hoping to strike it big as musicians, filmmakers, photographers and actors. Here in Los Angeles, they have access to a young, thriving community that provides the support they need in a place far from home, meeting, learning and collaborating. As a Non-Hmong I experienced great friendships with Hmong People. However, when I try to create closer relationships and treating them like family, like inviting them to our family events, they thank me for inviting them but they will not come. I took it personally until I found the same thing happened to my Non-Hmong Friends with their interactions with Hmong Families. It seems like Hmong Families want to stay separate. Do you experience this? Thanks for sharing your experience with us. I would say that the Hmong families who did not attend your family events may not be because they did not want to connect. It is still difficult for cross-cultural communications and relationships to develop. If they do not speak the same language, it is more difficult to communicate and build trust. When a Hmong meet another Hmong, there’s immediate understanding because many of us come from similar upbringing and community. I hope that you can connect with you friends. As a Lao person, I can say Hmong are more tribal than any other group from Southeast Asia in the United States that I have seen. This can definitely work for them or against them . I give them a’lot of respect. This is something Lao people can learn from and get out of the crabs in a barrel mentality we have.